Kabbalah is a practical, up-to-date science that answers everything a person looks for in life. It is time to reveal the secret wisdom to everyone. The wisdom of Kabbalah is becoming a practical science that anyone can learn to apply and use for his or her own needs. That is what Kabbalists have always been writing, and that is what The Book of Zohar says as well. Today, we are obliged to recognize the wisdom of the Kabbalah and study it to control reality by ourselves, according to its own instruction. Kabbalah is a wisdom meant to lead the entire reality, which is meant for all people, not only Jews. However, there is an order of development. We Jews, the “chosen people,” have to be the first to get to know the forces that come from the upper world and use them correctly, in order to convey that knowledge to the rest of the world and thereby conduct the entire reality. That is the Kabbalistic definition of being chosen. We must be the first to study it and pass it on to the rest of humankind. The progress of the Jews determines the progress of all the others. According to the plan of the upper world, all creatures without exception must rise from their present situation to a much higher degree, and that can be done only through the study of the upper force and the connection with it. We can change our lives while in this world. We can avoid unnecessary pains and attain happiness, wholeness, and eternity. Then, there won’t be any difference between life and a physical death, for we will be living in both worlds at once. 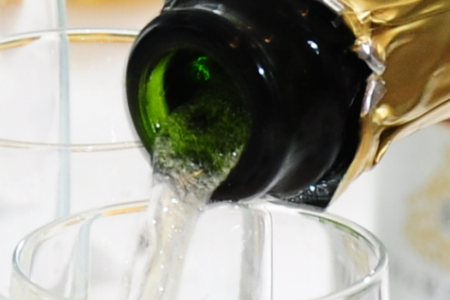 We Jews have a unique role: we have to find the way to rise from the corporeal life to a higher degree, to the spiritual life, and we have to show the world how it is done. That is the only thing that we are chosen for. In the meantime, we are not carrying out our mission, and that is why we look so bad and unworthy in the eyes of the nations. Because we have special souls, we have to be the first to work on attaining that knowledge and accordingly do what we must. We have no advantage over anyone, but only in that we have to start studying about the upper worlds, about the force, which comes from the upper world, immerse ourselves in that work first, and pass it on to all the other nations. This is what all the books of the prophets and Kabbalah say. The practical practice of Mitzvot, which had been so important during the two thousand years of exile, was the right thing to do. But now that we’ve been given the land of Israel again, and since we’ve begun to settle in it, we have begun a new era. We have to equalize our corporeal life with the spiritual laws of the land of Israel. What we refer to as the corporeal land of Israel is in fact a spiritual, sublime value with a great spiritual strength that can only be attained there. If we continue to behave as we did in exile, we will not be able to go on living in Israel. We will not be thrown out of there, but the assignment of the chosen people will be forced on us mercilessly and ruthlessly. The upper force is guiding us to its one goal in the shortest and quickest way. The Zohar promises that we are already in the last phase, and after that everything will fall into place. But there is a tough time ahead of us, called the “coming of the Messiah.” During that time we must discover the upper laws, whose essence is bestowal and love of humankind, in order to learn how to use them for self-correction. This inner process of humanity’s correction must be realized first in the Jews and in the corporeal land of Israel, and afterward in the whole of humankind. This is the ultimate way to manifest our freedom of choice. 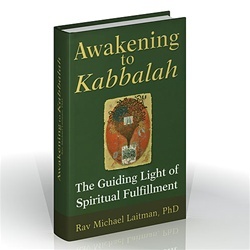 “Finally, the Role of Jews in the World Explained” is based on the book, Awakening to Kabbalah: The Guiding Light of Spiritual Fulfillment by Dr. Michael Laitman.